Recording EEG is a well established approach to assess neural functioning in a wide range of participants and applications. The available system configurations vary widely and depend much on the research paradigm and participants. Functional Magnetic Resonance Imaging (fMRI) provides the hemodynamic means to assess neural activation. Blood flow changes linked to neural activation, can be localized with extreme precision. Joining the temporal precision of the EEG with the spatial resolution of the fMRI, is a cutting edge tool in Neuroscience and combining these correctly, is what we do. Functional Near Infra-red Spectroscopy (fNIRS) is among the most recent additions in the Neuroscientist’s tool chest. It provides the ability to measure blood flow changes around the brain without the need for magnetic fields or currents. Its portability permits the quantification of hemodynamic changes in places not feasible for researchers in the past. Explore how you can use NIRS in your research. Transcranial magnetic stimulation (TMS) is a non-invasive means to alter neural brain activity via electromagnetic impulses. TMS research combined with EEG, provides a powerful tool to investigate causal relationships and neural networks. Differences in TMS and EEG technology determine the ease of use, data quality and data access speeds of joint EEG/TMS applications. 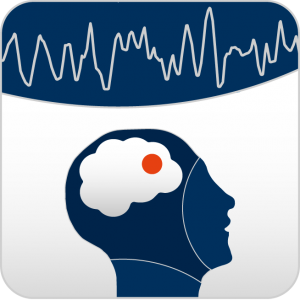 Research grade stimulators provide the maximum flexibility available pulse waveform while assuring high EEG data quality. … is the result of autonomous or voluntary neural processes. Quantifying signals such as ECG, EMG, EOG, GSR, respiration, or others can be key contributors to answering central questions in Neuroscience. Peripherial signals can be recorded on their own or synchronozed with cortical activity.